With over 270,000 residents, Saskatoon is not only the fastest-growing city in Canada, but has evolved by leaps and bounds when it comes to the locavore movement. 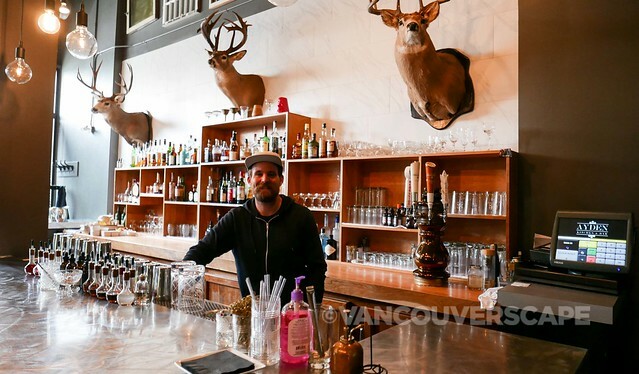 One chef riding that particular wave is former Vancouverite Dale MacKay, whose Grassroots Restaurant Group currently has three very popular eateries under its belt – with a fourth set to open in Regina next month. I begin my YXE culinary adventures at Little Grouse on the Prairie (167 3rd Avenue South), the second restaurant to open in the MacKay empire. 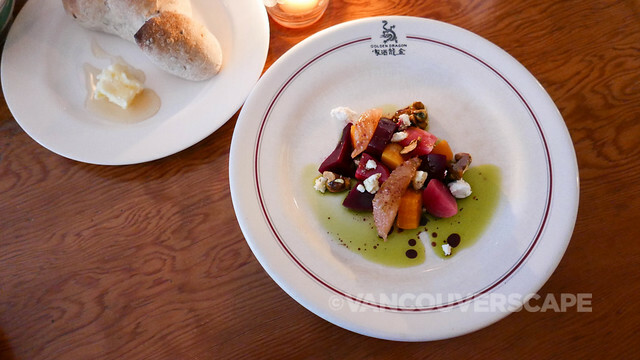 With a cozy, inviting interior, Little Grouse focuses on Italian fare. In addition to à la carte items, chef-selected alla famiglia style menus are prepared differently for each table and can be customized to accommodate dietary preferences. 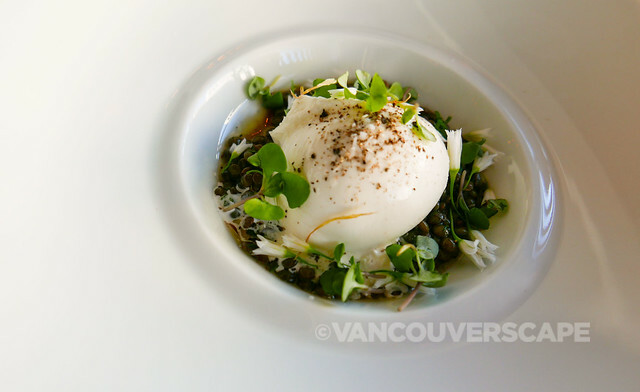 A small share plate of burrata kicks off a delightful meal ahead. 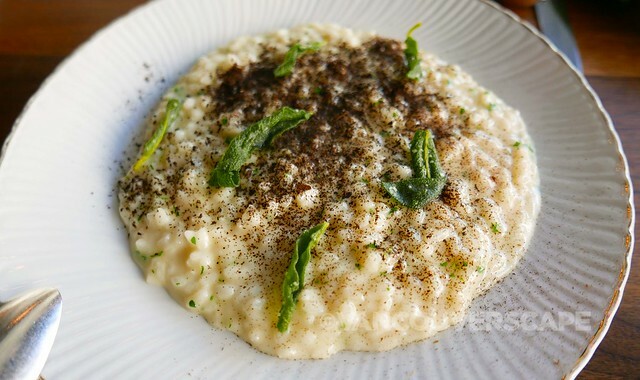 What catches my eye on this sunny spring evening is the risotto of the day, containing roasted leek ash and crispy sage. 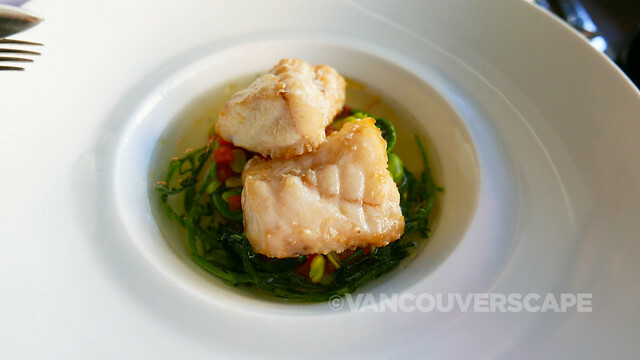 Perfect for sharing, this creamy dish is a precursor to a plate of delectable monkfish, brought out in a deep bowl garnished with sesame, tomato, fava beans and fiddleheads in a light broth that’s poured table-side. 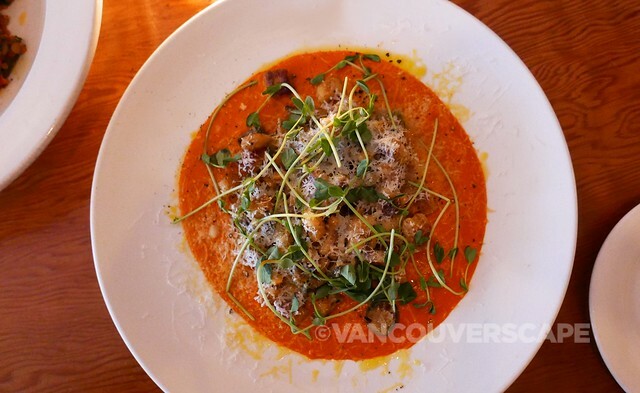 We’re wondering what could possibly top these divine creations, and we find it in Jessie Zuber’s homemade pasta featuring fior de latte and pomodoro, garnished with both torn and crispy basil. 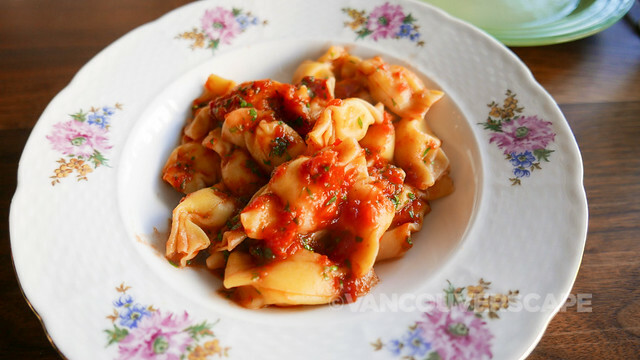 These caramelle ‘packets’ of pasta have a fantastic bite and texture. The non-fussy dish packs so much flavour. The next morning, I get a chance to sit down with Chef MacKay, who provides insight into how the (almost) four restaurants came to be. 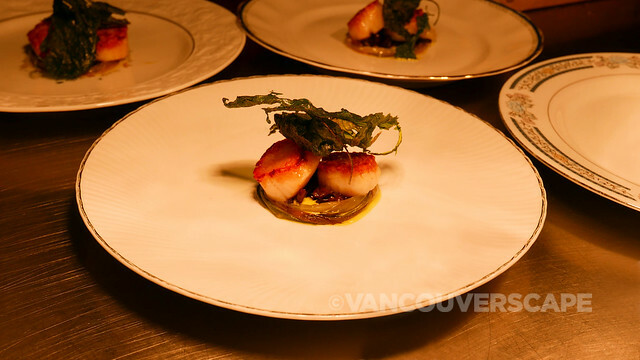 It was always part of MacKay’s plan to leave Vancouver and to start a series of restaurants back on his home turf. There’s lots more support for chefs here. In his words, “they’re in it for the right reasons”. Saskatonians are happy folks that appreciate a great meal. Through his restaurants, MacKay, Jessie Zuber (both recently on Top Chef Canada) and team aim to promote their province and country, adding that it’s a gift to be able to focus on food. 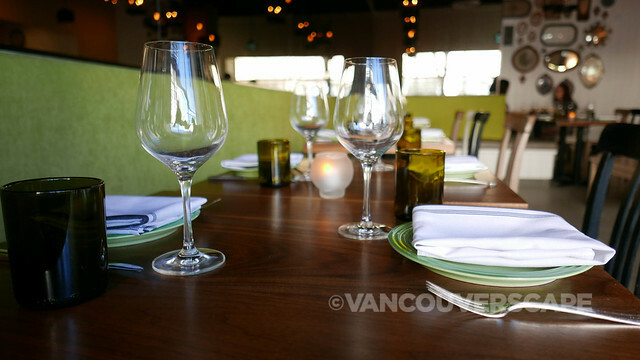 Avenue will be the fourth and final restaurant for now as MacKay doesn’t want to spread himself too thin. Once Avenue opens next month, he’ll spend the first couple of months in Regina seeing that venue off to a good start, then split his time between Ayden and Avenue. This new venue will have a more classy, big-city vibe in a 1912 building featuring 18-foot arched windows, originally constructed for the Canadian Life Insurance Corporation. A French rotisserie will be brought in, with dishes focused on old-school soufflés, beef tartare, rotisserie chicken and the like. 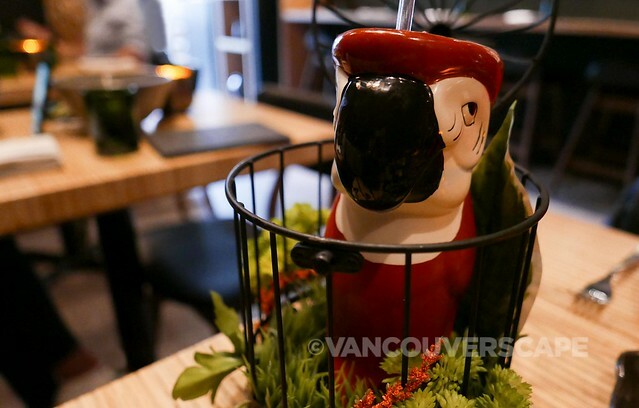 I get yet another chance to sample a MacKay restaurant at Sticks & Stones (226 2nd Avenue South), a Korean/Japanese-fusion restaurant with a focus on ramen, sushi (with fresh fish flown in from New Zealand), sake and creative cocktails. 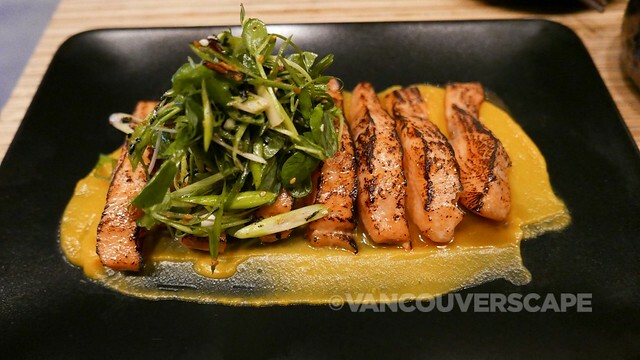 Diefenbaker trout is served marinated in a soy orange glaze topped with miso-infused greens. 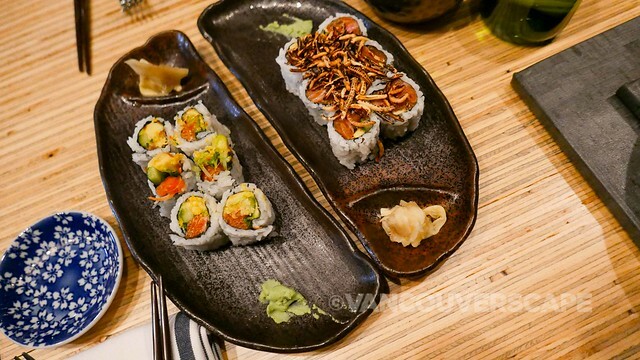 The YXE roll is a particular standout, created with smoked trout, crispy trout skin, avocado, diced cucumber and topped with puffed wild rice. Prairie Feast, MacKay’s passion project, is going into its third year (August 18). Guest chefs from across the country are invited to help prepare a multi-course meal. Each year the theme changes up; this year it’ll be a black-tie event focused on the arts, with local ballet dancers, beat poets, live artists and a symphony performing during the evening (look for advance tickets here). A young chef scholarship has been set up to offer the next generation a chance to compete (on the afternoon of the event) with established Canadian chefs serving as celebrity judges. 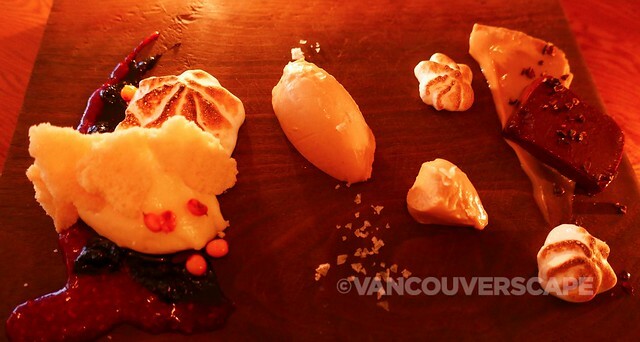 The winning chef will get to work for four nights at a Canadian restaurant of MacKay’s choosing. Leyda’s whole food, nut-free, experiential cafe was opened by retired physician Dr. DeeDee Maltman, believing what your body eats, feeds everything. After her daughter was diagnosed with Crohn’s disease (making dining out a challenge), DeeDee was inspired to open this whole foods gem (at 112 20th Street West) offering made-from-scratch items, locally-sourced meats, seafood and organic produce. Just outside downtown, Bryn Rawlyk’s been busy building a loyal following with The Night Oven Bakery (629-B 1st Avenue North), repurposed from a former wood shop. There’s an onsite flour mill and Bryn built the counter and wood oven by hand, a true labour of love. He and his team keep things on the lighter side of sourdough, producing a range of artisanal breads that keep fans coming back for more. Though Bryn supplies to a few local cafes and restaurants, his bakery is the main venue for some of the nicest scones, pastries and breads I’ve sampled in awhile. 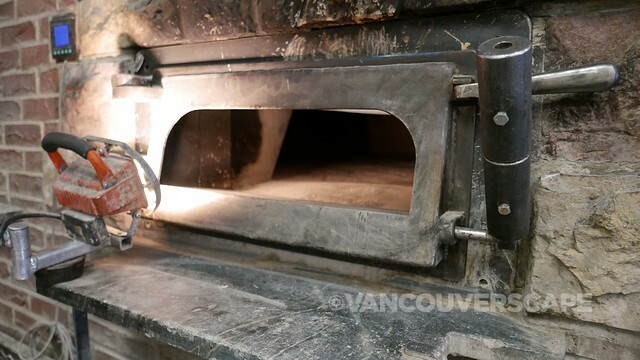 The Night Oven uses as much of the grain as possible, with house rye a big seller due to Saskatoon’s Eastern European community. In addition, Bryn makes jams and kombucha for sale up front by the counter. Beans from locally-sourced Venn Coffee Roasters are used in their coffees. 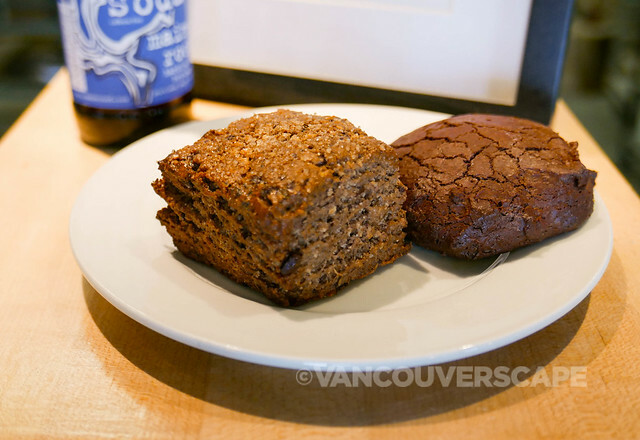 And speaking of Venn, make sure to check out the newest café in town, Living Sky Cafe (245 3 Ave South). They too use Venn beans in their coffees. A common thread during my visit here is Saskatoon’s highly collaborative culinary industry. On my last night in town, I get the chance to dine at The Hollows, a locally owned and operated restaurant in Saskatoon’s Riversdale district, located inside the historic Golden Dragon building. The chefs at The Hollows forage, butcher, brine, cure and smoke their locally-sourced ingredients, and the love shows in spades. 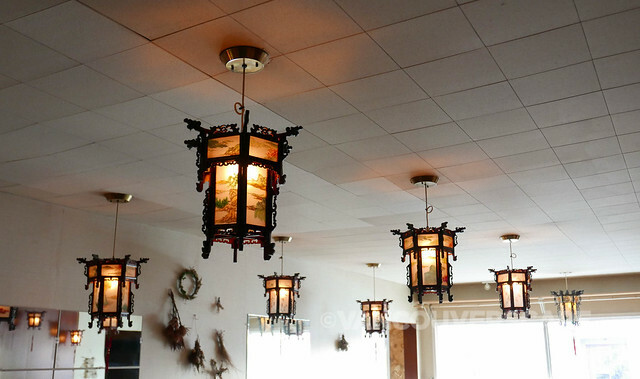 Rows of Chinese lanterns and kitschy artwork give the restaurant a casual vibe. A couple of side rooms include a lounge complete with old school Buddha ornamentation as well as a smaller dining room closer to the entrance. Much of the former award-winning restaurant’s interior – and character – has been preserved while former model/head chef Christie Peters has brought culinary gold to the kitchen. 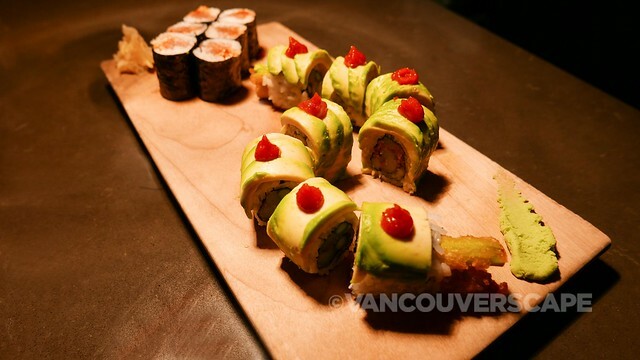 Every dish that’s brought to our table is simply incredible, fresh and colourfully plated. We order two starters (beetroot and goat cheese salad, hempseed and flax sourdough twisted bread with cultured honey butter), working up to a tasty gnocchi with preserved summer squash, tomato and grated Parmesan plus grains and pulses (a delectable assortment of quinoa, lentils, tomato, greens, sunflower seeds, slow egg and fresh cheese). 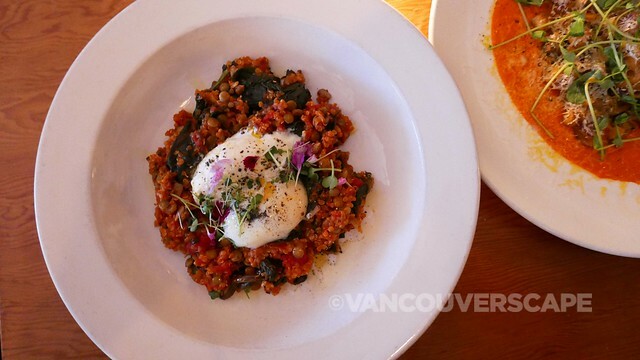 Both dishes are flavourful and perfectly balanced. As if the meal couldn’t get any better, we’ve saved just enough room for a dessert flight of butterscotch pot de crème, custard, Maldon sea salt, lemon tart with wild berries and meringue, plus a chocolate pate with peanut butter emulsion, meringue and cocoa nibs. The grand assortment of tastes marry surprisingly well together. Sister restaurant Primal is headed by Christie’s husband, Kyle Michael. The two met at a Vancouver restaurant and teamed up in Saskatoon to open a couple of the most notable eateries in recent times. They’re also open for brunch but get there at 11 am or be prepared to join the queue of loyal fans. Find The Hollows at 334 Avenue C S.